One motivation many people have for getting a real estate license is the amount of money that it’s possible to make in the real estate market. But just how are real estate agents compensated for their work? Here’s a brief overview on how real estate agents get paid. Most often real estate agents get paid real estate commissions based upon the sale price of a property. 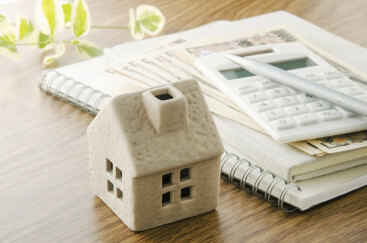 The commissions of a real estate transaction are negotiable and tend to range anywhere from 1% all the way up to 10%. For our purposes here we will use a 5% commission rate example. So for a $250,000.00 property, the 5% commission paid upon the closing of that property will be $12,500.00. That does not mean that the agent walks away with $12,500.00. The broker of record will receive a predetermined portion of the commission. The most common arrangement of payment between a broker and an agent is the commission split. Depending on what has been agreed to when the broker agreed to hold the agent’s license, a certain percentage of the commission is paid to the broker and the remaining percentage to the agent. Assuming the traditional 50/50 commission split, each will receive a commission check of $6,250.00 at the closing of escrow on that one property. As a real estate agent with an established client base, the promise of prosperity is tremendous. Using the example sale and assuming only one property closes per month, a real estate agent is looking at making $75,000.00 a year. A real estate agent who is dedicated and in tune with the market in which he or she is working has a much greater income potential than commissions from one single closing per month. When you are dealing with commissions of this size, you are talking major increases in income. Even two closings per month could raise your annual income to $150,000.00. As a real estate broker, the commissions come even easier to you. By holding the real estate license of the agents and maintaining their space in your offices to whatever degree you are contracted to do so, you will collect your part of the commission split not just from the one agent, but every agent under your brokerage. If you have five agents working out of your office each agent is closing just one deal per month, then as their broker, you would be making $31,250.00 per month without ever showing a property. Whether you are an agent or a broker, there is enormous potential for income generation that is only limited by your willingness to work at it. As an agent, experience and extensive knowledge of the real estate market will make you an income you never thought possible. As a broker, surrounding yourself with experienced and knowledgeable agents can build a fortune. Check out our Real Estate Salary Center for more in-depth information on income for a wide range of real estate specialties.